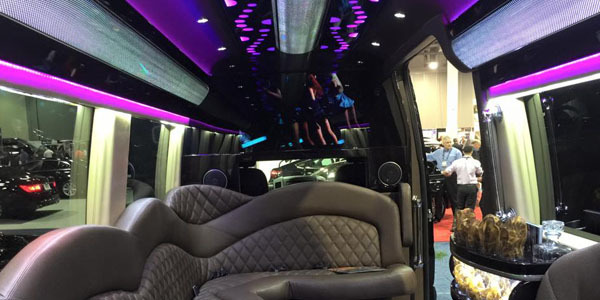 This is one of the nicest small party buses in the United States it features every option thinkable on a party bus TVs front and rear. Can comfortably fit 14 passengers, depending on size of occupants. May fit more or less depending on size.